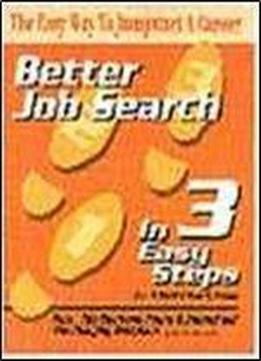 This practical and concise guide is a must-have for anyone looking for a first job right out of high school or college, reentering the job market, or changing careers. It offers a comprehensive plan for success with three easy steps: getting the job, keeping the job, and handling stress on the job. Information on SCANS workplace skills and proficiencies is provided to help the reader be more successful in getting the job and prospering on the job. Activities help the readers identify their skills and strengths, while up-to-date statistics, facts, and tips allow them to learn and improve their job skills. This guide includes many sources of helpful job success information, including organizations, publications, and Web sites. Written by experts in the job-training field, this material has been tested with students and professionals alike, with positive results.